Which Line Are You In? Have you ever been to Disney World and experienced the massive lines you have to wait in to be able to experience something that promises to be so wonderful? What about something less exciting than Disney World? Maybe you live in a gated community or work at a gated environment where every person has to go through the guard to have their pass validated? I’m sure you know what I’m talking about! It can be SO frustrating when you want to get through that line as quickly as you can. The weather may be less than comfortable…you may have deadlines you have to meet for work and getting through that gate is taking TOO LONG!! Or the worst…ever had to be waiting to get in somewhere and you had to go to the bathroom SO BADLY?? YIKES! No fun!! Waiting in the lines are not my favorite thing to do. What about you? But get this…at Disney World they have this thing called the Fast Pass. You make your appointment time and walk right up to the front of the line when it’s time! How awesome is that?!? I know for gated communities and gated work environments as well…the residents and employees that are there have certain privileges. They get their own type of fast pass….one that’s pre-validated and doesn’t have to be confirmed by the person at each gate of entrance…no matter where you’re at. This means…you’re already validated…you don’t have to have someone else to Validate you to move forward. 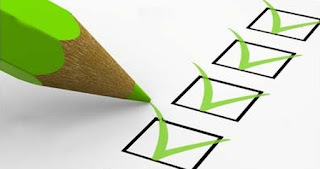 -To check or prove the validity or accuracy of (something). -or to make or declare legally valid. For all those people at Disney World, or the gated work and home environments….Once they were validated by the organization….they didn’t have to have other people to check them in daily and give them approval that they were validated to enter. They were already validated by a higher authority. Where am I going with this? Well…I am almost 48 years of age…and I have really tried to position my heart to be submissive, humble and teachable. Those are all good things and very important. But somewhere in the midst of trying to remain those things…I allowed myself to swap lanes, so to speak. I moved into the lane that is waiting for someone else to tell me I’m good at something, or to validate me to move forward in an area…when I know that I have already been validated by the one who has called me. So I have not stepped out and up because I felt I needed to wait on someone to ask or give me permission that it was ok for me to do it. I have found myself in a place of people pleasing, trying to get the approval of man to tell me it’s ok and I’m good enough in this, or good enough in that. Honestly….it has been the most trapped and frustrating feeling because guess what…I’m never going to get that approval and validation from man. I may get glimpses of it…but it fades and I’m left feeling less than and wanting more approval and validation. Guess what??? I don’t get it! And guess what else…I probably won’t get it! Do you need someone to tell you that He delights in you? There it is in Genesis and Zephaniah! Do you need to know He loves you and is for you and has gifted you with so many special gifts, talents and strengths? There you go…It’s in His word! He has already validated you in and through His word!! Do you believe it?!? If you need to be reminded of this…don’t jump in the long line and wait for someone to tell you these things! He’s already told you!! BELIEVE IT!! Place it before you on your bathroom mirror, in your journal, in your car…wherever you go! Place reminders that you are validated! You already have the “fast pass” and you don’t need someone else to tell you it’s ok and you’re good enough! and stamp you with approval at high noon. GOD is the one that places you where you need to be! HE is the one that will open doors you didn’t even know they existed!! I’m talking to myself!! Let’s get out of that long line of waiting on the approval of people to be able to move forward! Step forward with God confidence knowing you’re validated already! Trust that He has already made the way and keep moving forward and ENJOY THE RIDE!! 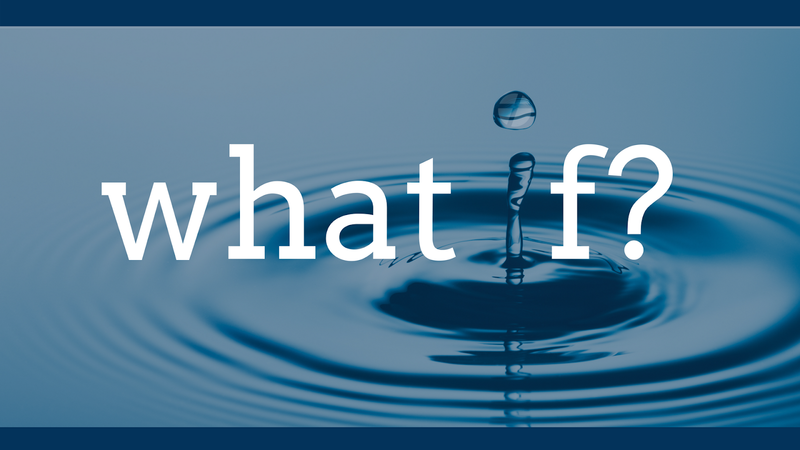 What If Mary Said No? What if Mary had said no to the angel when he appeared and told her the plan that was for her? We all know she answered the Lord with "I am your servant, let it be to me just as you say." But I can't help but think of the many other thoughts and options she may have weighed before she answered. Her response may have been right away. That is the way I have always pictured it. But when I think of all the thoughts that could have been swimming in her head I can't help but wonder if there was a pause...a long one. There are three things I can think of that may have entered my mind today if I were being faced with what she was commissioned to carry out. 1. What will everyone else think? With the age of social media these days, this thought may be more rampant today than back then....but she had to wonder what will everyone think of me. People pleasing is something I grapple with all the time. It's so very hard for me to disappoint people. I know no one else deals with this, right?? LOL!! Even though I know it isn't right...I still struggle with it. I try not to make decisions based on pleasing people...but it is a struggle. I've even had opportunities to step out and do what God was asking me to do and the fear of what people were thinking hindered me. Maybe it didn't hinder me to the place of saying "no", but it hindered the Holy Spirit from moving through me the way He would have liked. If there was anything that Mary could have concerned herself with...it definitely could have been "What will everyone else think?" I'm so grateful she didn't say no because her obedience may disappoint people. Others don't always see the whole picture and story of our lives and callings. They don't walk the road we walk...so we can not make decisions based on what they may or may not be thinking. Obedience is the goal....God will take care of what others think!! 2. Fearful of what she is going to walk through. I'm not sure who you are as you read this...but as a mom of four children, two biological and two adopted, I can tell you first hand...I was TERRIFIED when I was getting ready to have our first child. I remember thinking...Oh.MY.GOODNESS...there is no way out of this. Do I have to go through with this?!?! LOL!! The only way out, was to go through it!! If I was thinking that as a 28 year old married woman about to become a mom for the first time...how much more would Mary, a young, unmarried teenager being told she was pregnant? Aside from all the thoughts of what others will think....the reality of being pregnant and having a baby could have been fearful to her and made her say no to God. I'm so grateful that she didn't let fear of what would come keep her from saying yes!! Many times...our destiny is just on the other side of fear. Stepping out into the unknown is something God calls us to do many times. Don't allow fear to abort the vision He has for your life. 3. How is this all going to happen? How can it be? Having all my i's dotted and my t's crossed is something I try to always be aware of. I want to always be prepared and "in control." LOL. I like to have the plan of how something is going to take place so there are no surprises. Sometimes stepping out in faith and saying yes goes against the nature of having the plan all figured out. I can imagine Mary may have wondered how in the world she could be pregnant with the Son of God and how this child was going to change the world. Really...does it even make sense? Practically speaking...how was this going to happen and take place? Doubt that the impossible things can't happen is a very real emotion. God specializes in the impossibilities though. Our ways aren't His ways and our thoughts aren't His thoughts. I'm glad Mary didn't try to have it all figured out before she said yes. Don't try to figure out how God is going to bring forth the promise of provision and vision in your life. Just TRUST Him!! Those who know the name of the Lord trust Him. If you're having trouble trusting him...get to know Him more!!! He is surely Faithful!! There could have been so many more thoughts that flooded Mary's mind. I'm glad she didn't give in to any of the thoughts that would have prevented the promise of our Savior being born!! 1. Don't worry what others are thinking about you!! God's plan is higher than the way we think. The opinion of others means nothing if we haven't been obedient to what God has placed in our heart! 2. Don't be fearful of stepping out in faith!! Just like Peter walked on water when his eyes stayed on Jesus. God's got you!! Many times the area of fear you deal with is a doorway to your destiny. Lean into that and don't let it hinder you!! Say yes anyway and then trust God to keep you in the palm of His hands. 3. Don't try to figure it all out! Do your best...and leave the details up to HIM to work out!! This is hard sometimes I know. But just stop it! LOL! This is a walk of FAITH!! That means not always seeing how it all is going to work out but trusting it will!! I'm glad Mary didn't say No!! What promise and purpose has God placed on your life that could help change the world? Say Yes and leave the rest to HIM!!! Merry Christmas!! May we find our hearts this year like Mary's....Open and Obedient to what God wants to do!! I love how God uses nature to speak to me...here is just one more simple truth he has shown me. This was a post I made on Facebook during this past summer. I'm just now posting it on my blog! 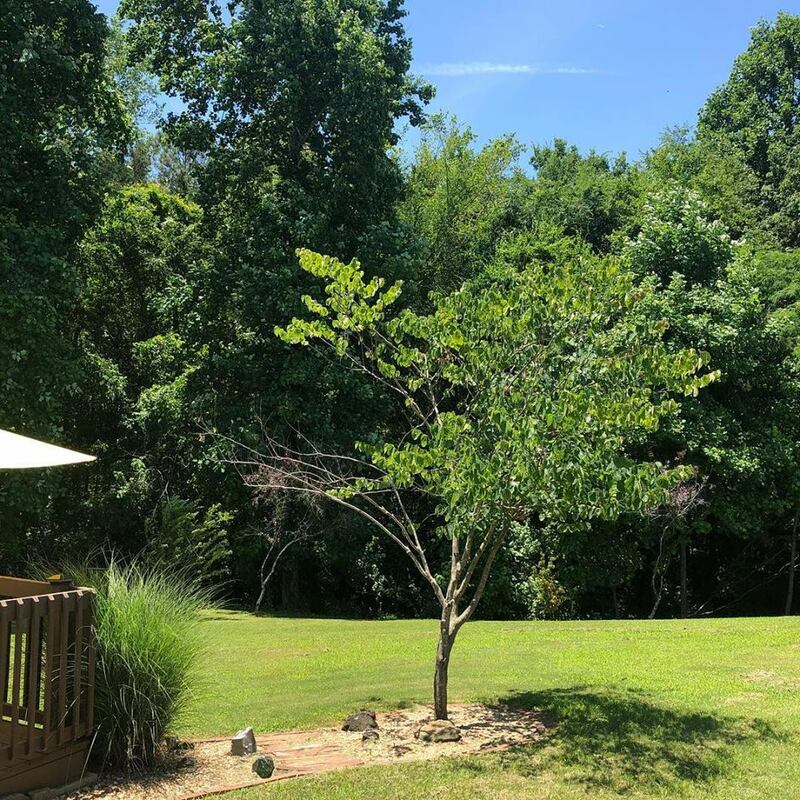 Our favorite tree in the back yard got hit pretty bad by the freeze this spring. It was always so perfectly shaped and beautiful. It was my favorite thing to look at outside each year...especially in bloom! When we realized the frost must have gotten those left limbs you see there (they’re dead)...I didn’t want to cut them off. I kept hoping there was still life in them. As you can see here...there is no life in those limbs. But the tree is very beautiful and full of life otherwise. If we will cut those dead limbs back now...I bet that tree will take on an even more beautiful shape for the future!! Cutting those limbs off will be hard and it will probably look odd at first. But eventually new life will spring forth and fill the void they left. But If we don’t cut them...the dead limbs will prevent anything else from growing in the space it’s taking up. I don’t know what new shape the tree will take when those limbs are gone...but I have no doubt it will be amazing!! It’s my favorite tree!! ❤️🙌🏻 Seems like a pretty applicable life lesson for us all huh?? Don’t be afraid to cut off what once was alive and beautiful. If you don’t it will hinder growth for your future. Just a random thought for today. Don't you just LOVE driving in heavy traffic?? HA! Obviously I'm saying that sarcastically. I'm one of those people that will go out of my way and drive the long way around just to keep moving. Getting stuck in traffic is so frustrating to me. The other day I was stuck in a long line of traffic. It's the holidays and so many people are out shopping and doing their thing. I just needed to get to where I was going. I admit it...I was super frustrated. We would move forward a little bit....only to slow down and stop. There was no way I could get out of the traffic...no off ramp...no business to turn in to find an alternate way around all that congestion. Seriously....I wasn't a happy camper. I kept looking far down the road to figure out why in the world we were slowed down. I was watching the cars way in front of me and unfortunately, not watching where I was. I was SO focused on what was slowing things down that I was not attentive to what was happening around me. As traffic began moving a little...I moved with it....but I was watching WAY in front of me trying to see whats going on that was slowing me down....and BAM....no...I didn't have a wreck, but I almost did. I was watching further down the road while I was moving and I didn't notice what was happening right in front of me and almost missed putting the breaks on to prevent me from hitting the car in front of me. Immediately, I felt the Lord impress on my heart that we do this in life! How many times do we all find ourselves stuck in the "traffic" of life? We're on the road going somewhere...but we aren't going as quickly as we'd like. It is quite frustrating....I'm sure you've been there, maybe you're there now? So concerned about where you're going, and what is holding you up from getting there...that you're missing what is right in front of you. "“Give your entire attention to what God is doing right now, and don’t get worked up about what may or may not happen tomorrow. God will help you deal with whatever comes up when the time comes." 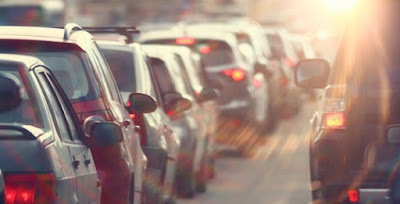 So today, as you embark out into the heavy traffic of the holiday shoppers, remember...if you want to avoid rear ending the person in front of you....stop focusing on what is happening down the road way in front of you and what is slowing you up from getting where you want to go. Stay in your lane...and keep your eyes fixed on where you are in the moment! There is great wisdom in doing that. You will stay safe and protected, you won't feel hurried or rushed, and in the stillness of waiting...you'll have some good quiet time to listen to what the Lord is saying to you while you wait!! As Christmas approaches...I have really pondered the thought of Mary and Joseph looking for a place to give birth to their baby, (Jesus) and the fact that there was no room for them in the inn. I don’t know how big the inn was, or if it was multiple homes, or locations that they searched...but you have to know it was discouraging to them to not have a place to settle. They were carrying a promise...purpose...and there was no place for them. BUT GOD...had a plan...HE was working and there was a reason there was no place for them and there was a reason Jesus had to be born in a stable. They didn’t know it at that time...but today...we all realize that significance. If you find yourself with no place...(whatever or wherever that may be) don’t lose heart!! There is a purpose for what you’re walking through!!! 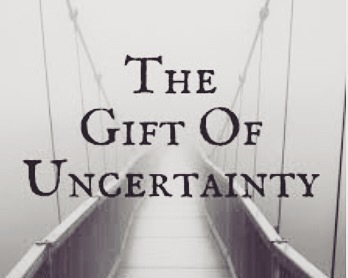 Christ (the promise) was birthed in the middle of Mary and Joseph’s uncertainty. He’s birthing something in you too!! Don’t give up...hold on to His promise and press on!! Your promise has to be birthed at a certain place and time too!!! 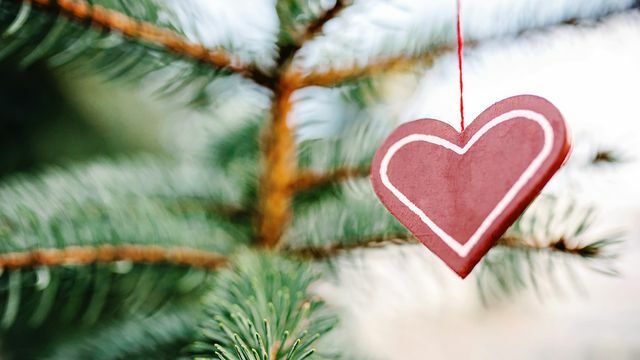 A Heart For The Holidays? I can feel it today! It’s beginning! The holiday’s are upon us. Today is the last day of school for our youngest. He is out all next week for Thanksgiving. The kids are excited at the expectation of getting the home ready for the holidays. Thanksgiving Day traditions of decorating the Christmas tree together excite everyone…except me. I’m not sure if I’m the only person in the world that has to fight to be excited around the holidays. I want it to be special for my family…but I have to dig really deep in order to find ways to help make it special. Some people seem to have a gift to do that. I really admire that gift in others. For me…the holidays past are not full of easy and pleasant memories. Twenty six years ago, my 17 year old brother was killed the week of Thanksgiving. Since then….my family has lost both my grandmothers the week of Thanksgiving, my mother in law, and my son almost lost his life the week of Thanksgiving as he was diagnosed with Type 1 Diabetes. This diagnosis changed all of our lives forever. I’m grateful he is still with us. But the warm fuzzy’s for the holidays is something that I have to fight to find. I’m almost ashamed to admit it, but it is hard for me to get my heart into the spirit of the holidays. Some of the family that have passed away were always the ones that cooked and made the holiday special for us. Since they have been gone….I’ve been more disoriented than in the mood to deck the halls! But this morning as I read 1 John 3:20….I realized something. The word condemn there usually makes us think of blaming or punishing. A sentence of death to something or someone. I normally think of this scripture in other ways…but it struck me this morning that this is a way to combat the condemnation of hope that my heart feels this time of year. 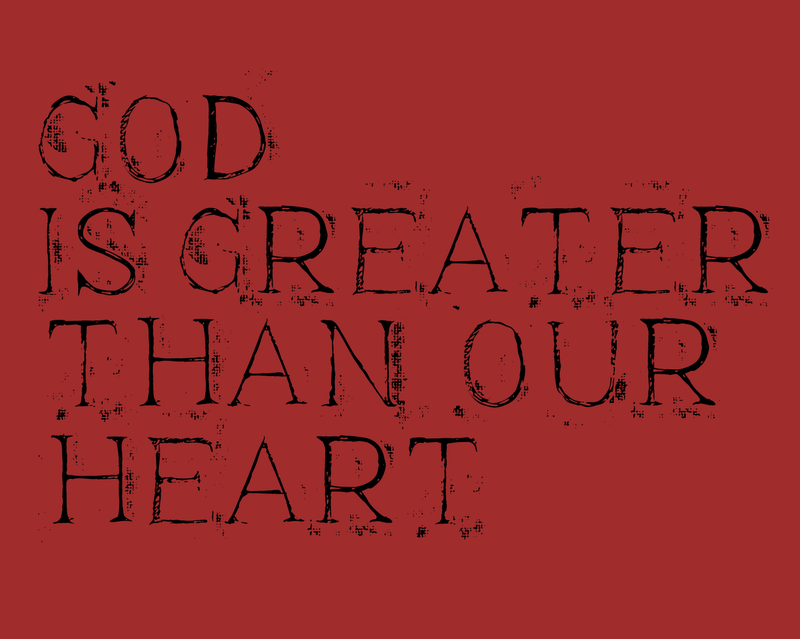 GOD IS GREATER THAN MY HEART! GOD IS GREATER THAN THE WAY I FEEL! Our hearts are not always the thing we need to follow! I’m learning this on so many levels. We have to be led by faith and what we KNOW God says. He promises us joy and blessings. He is SO faithful to provide everything that we need. Need is not always in forms of monetary needs. Many times…we need hope, joy, and a new perspective. 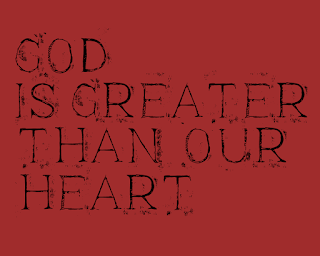 Our hearts can indeed discourage us….but God is greater than our heart. So for me…this Thanksgiving and Christmas…I will tell my heart what God’s word says. His word is the plumb line, it’s the direction, my “due north” of where I need to be going. When I am feeling things that are off of what HE says…I need to re-align my heart to line up with what I know HE says is the truth! I could expound in so many directions on what He says is truth…but it would make this post so much longer than any of you will read. Today I just wanted to be vulnerable…and open about real struggles that we all may have. Maybe I’m not the only one around the holidays to has to dig deep to celebrate. If I’m not…I hope this encourages you.I will be challenging myself…from this day forward, to prepare HIM room in my heart this holiday!! Where HE is…there is fullness of JOY! Trusting HIM to provide me with the joy, the creativity, and the overall spirit of the holiday season that I not only need for my heart…but for the heart of my family who is following me! God is greater than MY HEART!! Thankful today that HE gives us a new heart…one of flesh instead of stone! Praying your heart is beginning to prepare Him room today too!!! Let EVERY heart, prepare Him Room!! Recently I’ve been thinking a lot about identity…and seeing myself as Christ sees me. There is a lot of talk these days about our identity in Christ. It’s so important for us to see ourselves like Christ does!! We have to in order to help others see themselves through His eyes of love as well!! So with so much focus and social media attention on identity - finding our identity in HIM, and seeing who we are correctly, I started thinking about seeing, and sight. When I think about identity...that really is how we SEE ourselves, who we are. Now I realize that isn’t actually physical sight…but it’s our internal sight of ourselves, right? As I began to think about that…I started to ponder physical sight. No matter how much I tell someone who has physical sight issues to just SEE themselves in a certain way (physically) they can’t force it…because their eyes do not function in a way that allows them to actually see. Some of us use glasses and things that help us see correctly…but outside of miraculous healing…we can’t force sight if we have vision issues. Healing has to take place. Physical sight isn’t any different from spiritual sight/internal sight. No matter how much we tell ourselves we need to see a certain way…we cannot force it. There is something that needs healing, and outside of miraculous touch…it won’t happen. We may have glasses (friends and mentors) that help us see how we need to see. But, we cannot rely on others all the time in order for us to see with full vision. We have to have miraculous healing of our inner spirit, our heart in order to see ourselves properly. There are all kinds of sight issues physically…not just from a wound or injury. some are brought on by over extending or straining. I’m sure there are many other things that would contribute to sight issues. No matter how small or large, all of them need healing in order to see with full sight/vision. No matter what reason you have issues of identity, issues of seeing yourself the way Christ sees you….first you have to realize you cannot just make yourself see correctly. It’s not something you can think of long enough with positive thoughts to make happen. That would be temporary. You have to have healing first!!! Inner healing….healing that deals with what may have caused your sight issues/identity issues to begin with. It doesn’t all have to be traumatic either. 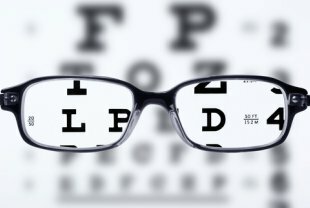 Many things can cause sight issues. So when you pray…Lord help me see myself through YOUR eyes (Cause HE sees you as totally AMAZING!! )….ask Him to show you areas you need healing so you CAN see yourself through His eyes. Ask him to show you where your view of yourself began to decline. Was it from neglect of a parent? Was it a wound or injury when someone hurt you emotionally? Was it from striving so much to make something happen and when it didn’t….you became discouraged and began to doubt yourself? Was it in getting older and feeling you're value is less because you’re just not young anymore?? ALL of those things may cause identity issues. We can’t force healthy sight…we can’t think hard enough that we are going to see ourselves through God’s eyes. Remember…there must be healing FIRST!! Ask God where you need healing…allow HIS love and HIS acceptance to bring healing…and THEN and only THEN….will we have property sight/identity of ourselves. Scripture gives us many ways that we can see ourselves IN Christ. It is important to meditate on His word and what He says. As you’re receiving His healing…fill those places with who you are in HIM!! It says so much more…and we have to dig in there to find what it says!! As we gain our inner sight healing…Scripture shows us the right way to see!! Don’t force it….allow Him to heal you!!! His love is so healing and it NEVER fails!! 4. Fill your mind and thoughts with what you SHOULD think!! Once our “sight” /identity issues are resolved…we can see our world with so much more clarity, and we can help others see as well!!! Just another nugget and pearl of purpose God is showing me in my walk with Him! Have a beautiful day!!! Buffi & her husband were married in 1994 and have 4 children; two biological and two adopted from China. Adoption has changed their lives and focus in many ways, and they have found that building a strong family has become one of their greatest goals. They desire to inspire others to place value on their family and family life. They also have a desire to help encourage families who may be interested in adoption to step out and say yes to what God is placing on their heart. Mark has written a book titled "Grafted: Preparing the Way for Adoption", to help encourage families as they consider stepping out on the journey of adoption. Buffi is the author of a children's book titled, "Miracle in the Land of Wu." It is a lovely fiction story about a little girl's journey from her birth mother to an orphanage, foster family and eventually to her forever family. It is loosely based on their first adoption experience. After spending many years chasing their own dreams and ambitions...they realized that their greatest purpose and fulfillment was in pleasing God's heart through obedience and placing value and priority on their gift from Him...their family.